DB9000-RX is an integrated client for IP transmitted digital audio signal. 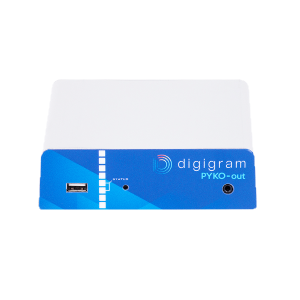 This is a device designed to support HE-AAC and MPEG-1 Layer 3 compressed audio streams and PCM uncompressed stream for audio transmission without quality loss. Decoding takes place in real time by a powerful DSP processor and the output signal is both in digital and analog form. 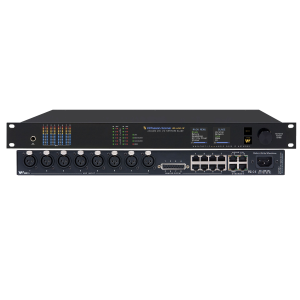 DB9000-RX has a built-in backup player for continuous audio play in case of signal loss or connection with server. With the optional Stereo and RDS Encoders, DB9000-RX becomes complete tool for audio rebroadcast. The Stereo Encoder has its own DSP processor which enables the generation of fully digital composite MPX signal with high stereo quality. With its RS-232 port, DB9000 could be transformed into Ethernet to RS-232 Redirector, allowing the control of any other existing equipment over Internet. 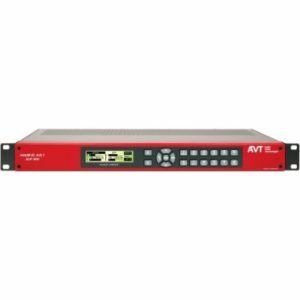 DB9000-RX allows you to quickly and effortlessly integrate existing audio systems to the Internet. Developed with the thought of easy use in mind, DB9000-RX can be managed through a standard Web browser, PC, PDA or other device, which makes it the best choice for professional and consumer use. Does that statement mean Peter is paying?